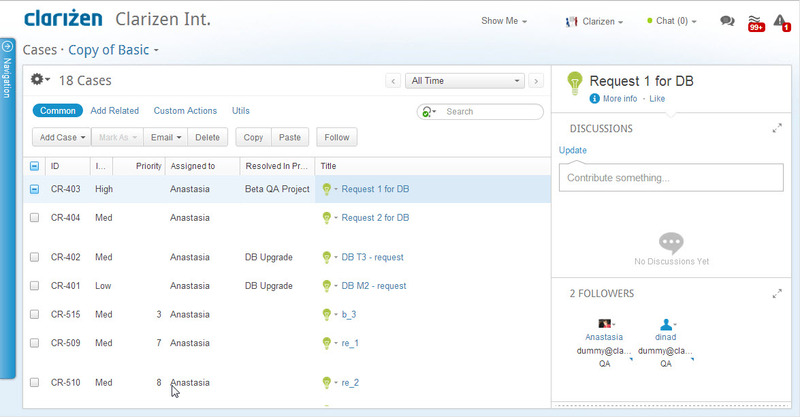 You can use the Issues module to manage requests , bugs , risks or standard issues. while fields that differ between these item types reside in the corresponding sub-class. Request (API name = EnhancementRequest) respectively to designate which item type you are going to create. API name of the item type is Case. Inherited from UniqueEntityIdentifier. System generated. When an issue is planned to be resolved. Reference to the Work Items entity.